Your day doesn't just go from 9 to 5. 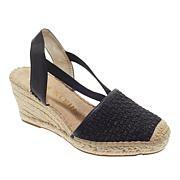 Get a shoe that can keep up with your hectic schedule and still turn heads with this elegant strappy wedge sandal. 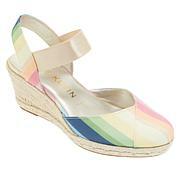 Its design and easy slip-on style give you day-to-evening comfort and style.